Digital nomads usually like to travel light, so they might prefer a gift of cash or perhaps a donation to their travel fund instead of a “thing” they have to carry around. Here are some great gift ideas for that digital nomad in your life. 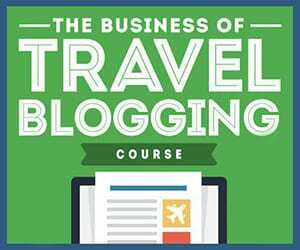 Do you want to learn how to monetize your blog to make money even while you are sleeping or on vacation? Making Sense of Affiliate Marketing might be the perfect training you need to make money from your blog. Read my review and get the latest discount codes. Which hotel affiliate program is the best for travel and lifestyle bloggers? Read on for my Booking.com affiliate program review and tips for how to get the most out of the program as well as things to look out for. Here are 25 things you could do to make money while staying at home. These are great options if you are a parent, student or just want to make some extra money on the side. I’ve tried several hotel affiliate programs and I have been pleased with HotelsCombined. Read on for my HotelsCombined affiliate program review and tips for how to get the most out of the program as well as things to look out for. Are you looking for super cheap gift cards? Whether you are buying a gift card for someone else or to use yourself you can buy discounted gift cards online and save money. Check out these top gift card websites to buy and sell. Are you looking to make a bit of extra cash? Sure you can work nights as a pizza delivery person, drive for Uber, do some baby sitting. But what if you could put your creative skills or artistic instincts to work as a side hustle? Here are eight ideas for making money from your creative hobbies. Using sites like Ebates, you can earn cash back rewards with just a few extra clicks of your mouse. Ebates partners with a variety of companies that offer travel services. Shop via the Ebates portal and get cash back on your bookings that you can use toward more vacations! One of the tricks you may not have tried is using discounted gift cards to save money on hotels, rental cars and flights. You can purchase discounted gift cards online on several websites and use them to book travel to lock in the savings. If you click through the Swagbucks site to their travel partners you can earn SB points for each dollar you spend on flights, hotels and rental cars. Most purchases via the Swagbucks site earn at least 1 SB per dollar spent. Many earn much more – up to 10 SB per dollar. Yes, that’s right – 10% off!